Depending on the make and model, your car uses either a hot-wire (the most common) or a hot-film type airflow meter. Different design, same function: Tell the computer how much air is flowing into the engine. The computer uses this information, along with input from other sensors, to provide the correct amount of fuel to the engine at any given time. The hot-wire type sensor maintains a wire (located in the middle of the airstream) at a higher temperature than the air flowing in. To maintain this predetermined temperature, electric current to the wire increases as airflow increases. In general, the hot-film type sensor works the same way except it uses a film instead of a wire to send the signal to the computer. It is this extra amount of current the sensor is using that tells the computer how much air is flowing in. In other words, the faster you drive, the higher the cooling effect on the hot wire or film, the more current flowing to the sensing element. So you can use the sensor operating logic to conduct your tests. Here, we'll go over the steps you need to troubleshoot a hot-wire type MAF sensor using a digital multimeter (DMM) to read the voltage signals. Testing a film-type sensor is no different, except that you check for frequency signals instead of voltage. 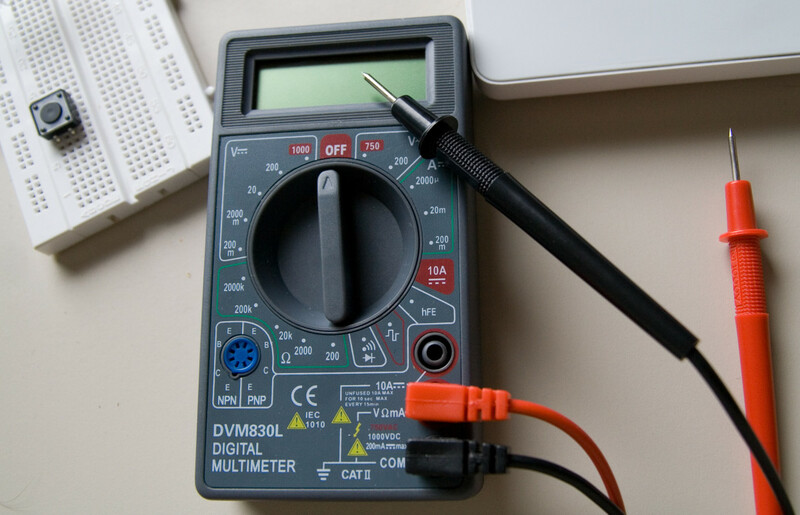 For this, you'll need a digital multimeter (DMM) or an oscilloscope that can read frequencies. Other than that, the next steps apply. CAUTION - Can You Cause Electrical Damage With Your DMM? Here, you'll see what is the most common problem affecting MAF sensors (and what to do about it), what you need to pay attention to during your troubleshooting procedure, and, finally, find out whether you are dealing with a bad sensor. Before we jump into the diagnostic, though, let's take a look at how the MAF sensor works so the procedure makes sense to you. On some vehicle models, the MAF sensor also informs the computer on air intake temperature and engine load (to control some automatic transmission functions) so the number of symptoms increases. However, you can hardly diagnose a MAF sensor on symptoms alone. Other faulty components can also produce these same symptoms, like the fuel pump, fuel pressure regulator and vacuum system. Thus, the need to troubleshoot the MAF sensor (and related circuits as needed) before replacing components. So now that you have a broad knowledge of how an airflow meter works, you are ready to test the MAF sensor. So let's get ready. 1. First, open the hood of your vehicle and locate the MAF sensor on the air cleaner assembly. 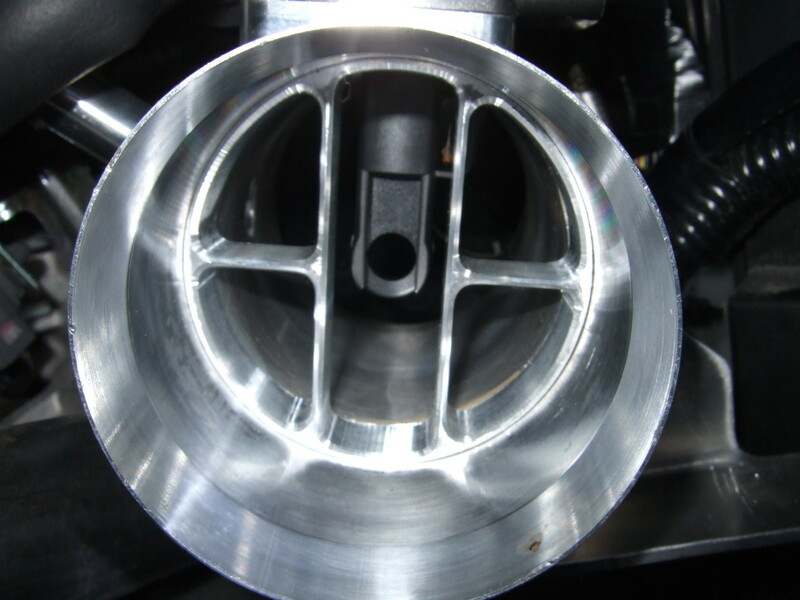 Usually, you'll find it between the air filter housing and throttle body. 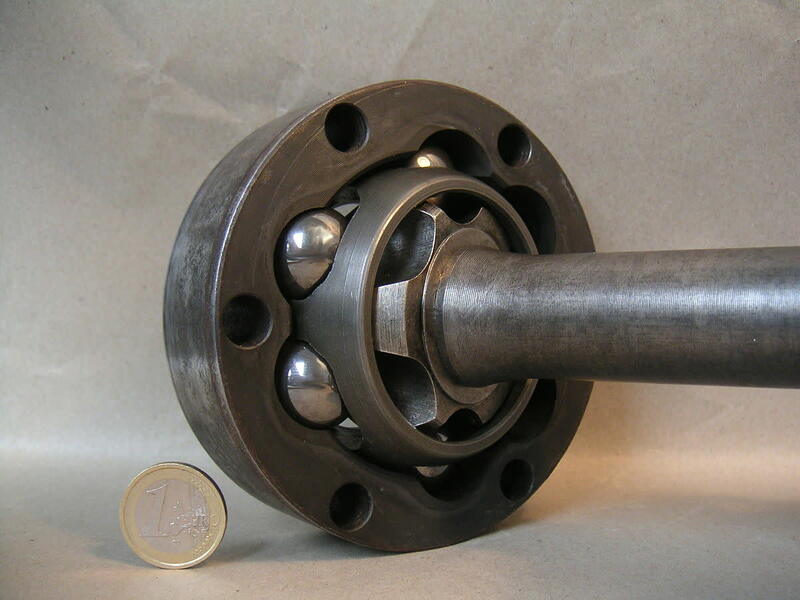 This could be a small block or a cylindrical section mounted as part of the air duct. On some models, you'll find it inside the filter housing. 2. Look for an electrical connector on the air duct right after the air filter housing. 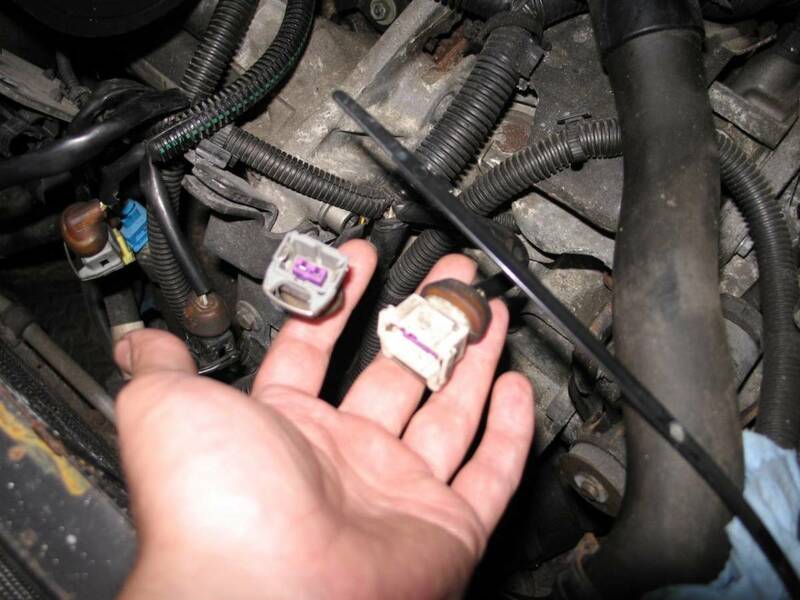 If you have difficulty locating the sensor, look it up in the vehicle repair manual for your particular vehicle make and model. 3. To test the MAF sensor, you'll need to have the electrical connector plugged in to the sensor. So check if you can backprobe the wires. If not, you'll need to pierce the wires using a pin when conducting your tests. If you use the later method, wrap the pierced wires with electrical tape when you're done with the tests to prevent rust from creeping into the wires. 4. Identify the power, ground(s), and signal wires on the electrical connector. Check your repair manual, ask at your local auto parts store, or search online for this information. Sometimes, you can identify these wires by testing them as described later. So even if you don't have this information at hand, go ahead with the tests anyway. Now, we'll look at the steps to test a hot-wire type MAF sensor using a digital multimeter by reading its voltage signals. Remember that testing a hot-film type sensor is basically the same except you are reading frequency (Hz) signals. If you don't know what type of sensor you have on your vehicle, consult your vehicle repair manual, ask at your local auto parts store, or search online for the MAF sensor for your particular vehicle make and model and read through the description. Yes. When troubleshooting electronic car components with a digital multimeter, always use one with at least 10 Megaohm impedance protection. This prevents the meter from drawing too much current and destroying sensitive electronic devices. Here, you check that your car computer is actually sending power to the airflow meter and grounding the circuit. 1. Unplug the MAF electrical connector. Visually inspect the electrical connector and terminal for dirt or damaged. Gently pull at the wires to check for tightness. A dirty, burnt, contaminated or loose wire will interfere with the sensor signals. 2. Set your digital meter to 20 Volts DC (direct current) or close to it. 3. Connect your meter red probe to the connector power terminal (on the side going to the computer) and the meter black probe to ground (this could be on the engine block, an unpainted bracket or the negative (black) terminal on your car battery). 4. Turn the ignition key to the ON position, but don't start the engine. 5. Your meter should read between 10 and 13 volts, close to battery voltage. If not, you may have a fault in that part of the circuit between the electrical connector and the car computer. 6. Now, connect your meter black probe to the ground on the connector terminal (on the side going to the computer) and the meter red probe to battery positive (+) terminal. 7. Your meter should read between 10 and 13 volts, close to battery voltage. If not, you may have a fault in that part of the circuit between the electrical connector and the car computer. 8. Turn off the ignition key. 1. Now, identify the terminals on the MAF sensor itself that correspond to the signal wire and ground. 2. Set your meter to continuity or the lowest setting on the Ohms scale. 3. Connect one meter probe to signal and the other probe to ground on the MAF electrical connector, polarity doesn't matter here. 4. You should read 0 (or close to 0) ohms of resistance. If your meter reads infinite resistance, probably the MAF sensing element burned or broke. Visually inspect the sensor. 1. Plug back in the MAF electrical connector. 2. Set your meter to 10 DC V (or close to it). 3. Start and let the engine idle. 4. Backprobe the signal and ground wires (red probe to signal and black probe to ground). 5. Depending on your MAF sensor, your voltage reading should be between 0.60 to 0.80 volts at idle (if your reading indicates 12 volts or pretty close to it, you are probing the power wire, not the signal wire). 6. Increase engine speed between 2,500 and 3,500 RPMs by manually opening the throttle plate, or ask an assistant to depress the accelerator pedal. Your voltage should increase to about 1.5 to 3.0 volts. Remember that Increasing engine speed increases airflow. 7. On a piece of paper jot down your voltage readings. Also, note whether the signal jumped, skipped, responded slowly, or travel smoothly and fast upon increasing engine speed. Head over to the Results sections below. On some newer vehicle models, the car computer can produce precise diagnostic trouble codes (DTCs) that can help you pinpoint the cause of the problem more accurately and faster. So make sure to scan the computer for potential DTCs. Now, compare the results of your voltage (or frequency) readings to the specifications in your vehicle repair manual. The MAF sensor has failed. The hot wire or film element is dirty or damaged, unable to 'feel' airflow. The sensor self-cleaning electrical circuit (on hot wire types) has failed. Disconnect the MAF sensor from the air cleaner assembly and visually inspect the sensing element. If the sensing element is dirty, the sensor might actually be working but contamination is preventing it from doing its job. Hot-wire type sensors have a self-cleaning electrical circuit that heats the sensing element up to 1000 C degrees (1832 F) when you shut off the engine. If that part of the circuit fails (not uncommon), the sensor will end up covered in dirt and eventually fail to read incoming air. A couple of quick checks is to take a look at the circuit fuse and test the relay that controls the self-cleaning circuit. Use this guide How to Test a Fuel Pump Relay and Other Automotive Relays to check the relay in the circuit. If necessary, consult your vehicle repair manual to locate the relay. Also, you may want to try cleaning the sensing element with MAF sensor cleaning spray. Avoid touching the sensing element, and never clean a sensing element with a rag or cleaners not intended for a MAF sensor or electrical contacts. Follow the product manufacturer instructions, and retest the MAF sensor following the previous steps. An air leak around the cleaning assembly is bypassing the air filter. A low quality filter is shedding material and sticking to the sensing element. An air leak around the air filter housing (a crack on the filter housing or improperly installed filter cover or loose clamps) is introducing unfiltered air and contaminating the sensing element. What if your tests indicate a good MAF sensor? If your tests didn't reveal something wrong with the sensor or the circuit but your computer says there's something wrong with it, check the part of the air cleaner assembly between the sensor and the throttle body. Air leaks will trick the computer into thinking the sensor has failed. But my results seem inconclusive, what do I do? Check with your dealer or online car forums dedicated to your vehicle make and model for a possible technical service bulletin (TSB) related to your problem. 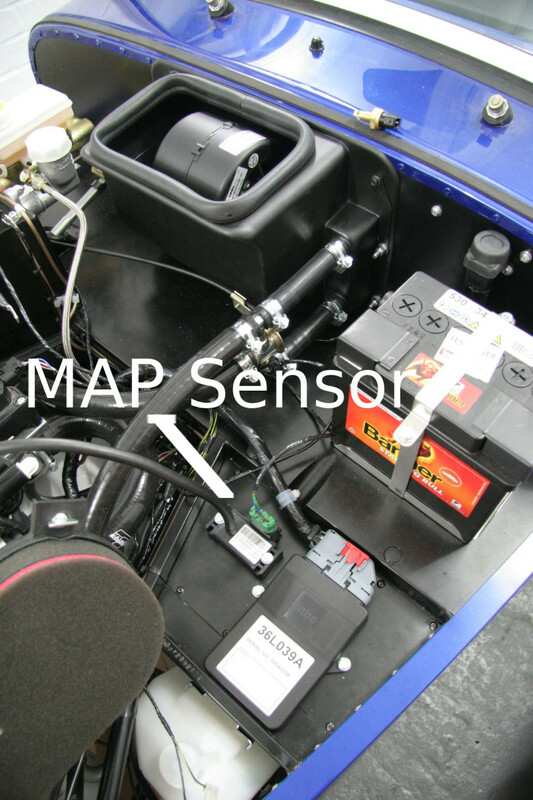 Technical problems with the design or materials used in the MAF sensor or circuit can show up after miles of driving. Most of the time, your tests results will lead you to the nature (or cause) of the problem in a few minutes. For example, if a sensor fails to respond to an incoming signal, you know that the problem lies with the sensor itself. 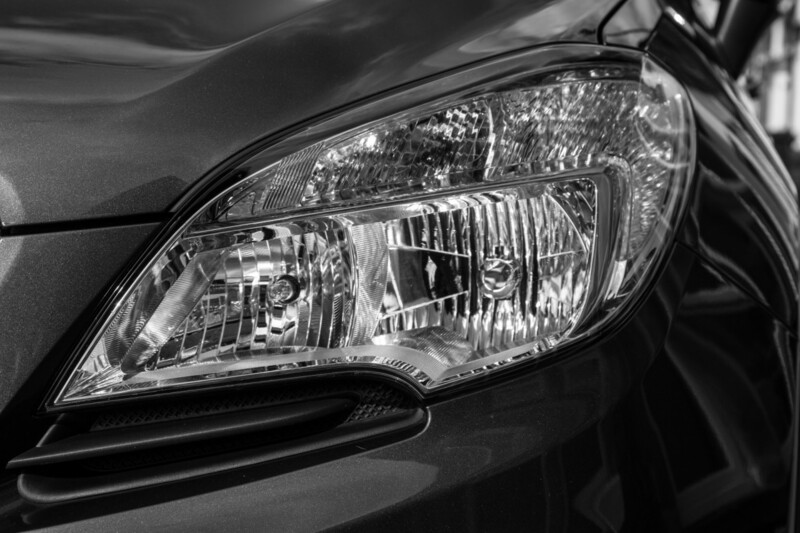 Other times, the results may not take you too far, especially if you don't have much experience in car repair. 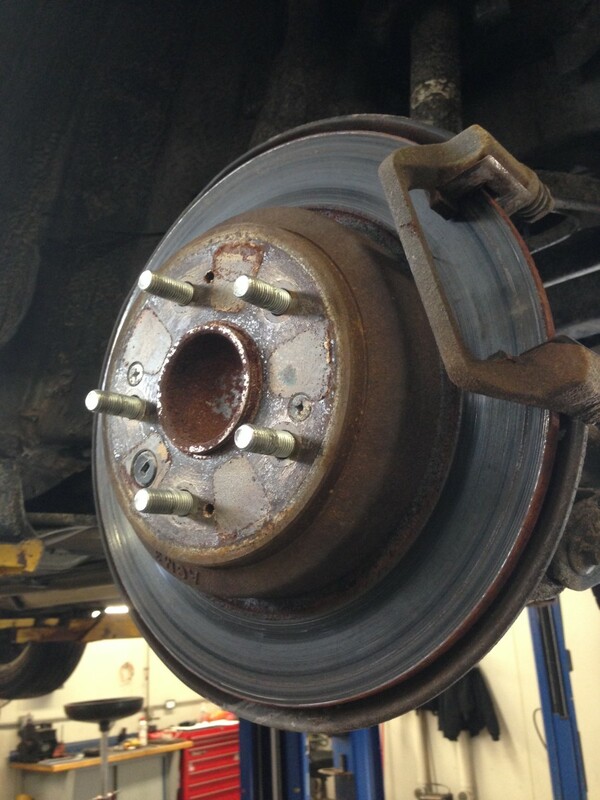 When this happens, you can visit one or more forums dedicated to your specific vehicle make where you can communicate with other drivers that might've faced this same type of problem. However, if your tests proved your MAF sensor works as expected, perhaps you're dealing with a fuel, ignition, or vacuum related problem. 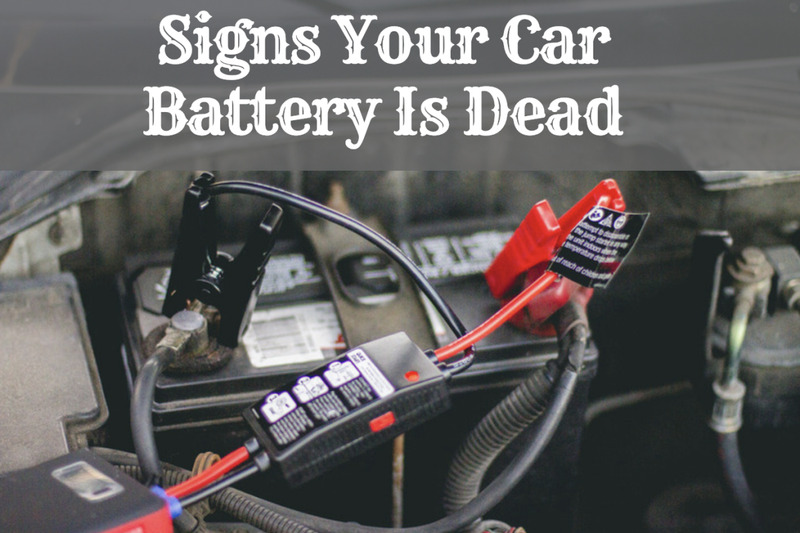 Most of the time, though, you'll be able to find the cause of the problem, make the repair, and get your car back on the road sooner than you thought possible. If I forgot to disconnect the battery and I plugged the MAF, how I can remove the notification of the check engine? Make sure the sensor is properly connected. Sometimes the light will reset itself. An auto parts store can check the code(s) and reset the light for you. When I tested my MAF sensor with a DMM it read weird. The DC voltage was set on 20, which was closest to 10. Mine would go the MAF sensor and went up to 2.49 at idle very quickly. With the engine at 2500 to 3000 rpm, it was reading 2.45 and it got to that quickly. Does that mean it's bad? Not necessarily. Check your codes and see if it indicates problems with the circuit. If your DMM has Hz frequency - usually you'll get about 30 Hz at idle and will increase as you open the throttle. 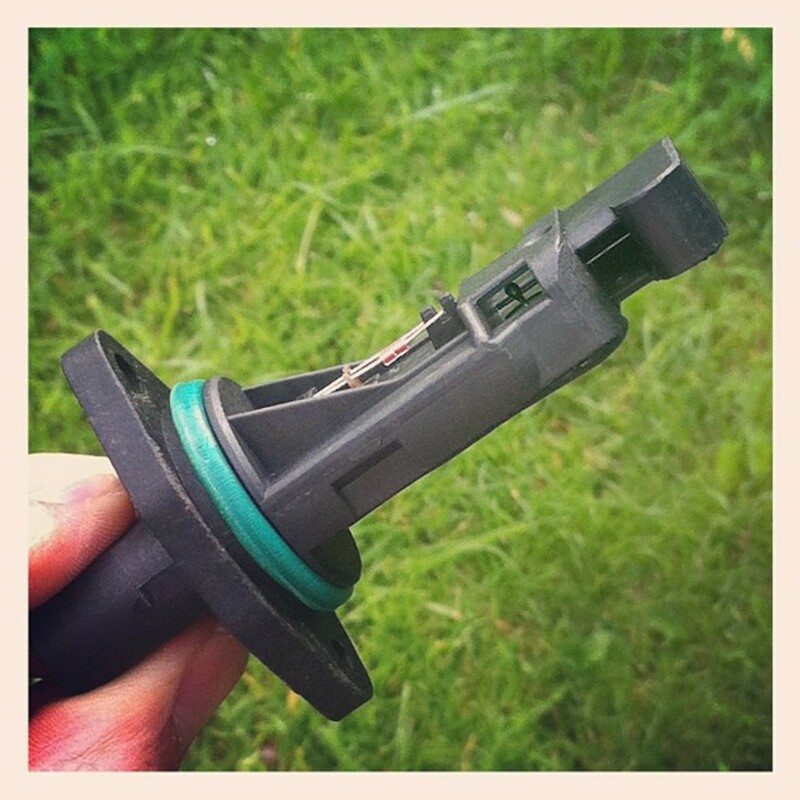 It is true that if you unplug the MAF sensor and the engine is still running then the sensor is bad? Removing the sensor helps to diagnose a bad sensor in some cases. For example, unplugging a bad IAC that is causing a surge in some models, it can change the idle, so you know the solenoid is causing trouble. And some do the same if they are having issues with the MAF. The computer uses a default setting if it doesn't receive the signal. But it's better to troubleshoot the sensor, you may have a bad connector or wire, before replacing it. I have a ‘98 Nissan Maxima. I replaced the coil, cam sensor, crank sensors, fuel pump, MAF sensor. What’s wrong? I just put a new sensor on my Lexus 2001 es300, and when I drive my car around the corner, it still dies out. What could it be? It's hard to tell. If it only happens when turning around a corner, look for a loose wire (possibly an ignition system wire - under the dash? ), or a fuel pump issue. Check for trouble codes and see if you find anything. when I connect my connector, the car shuts off. When I unplug it, it stays on but won't drive that fast. What's the problem, the connector or sensor? Most likely, the MAF sensor is bad. I have replaced my MAF sensor three times. Last one is an AC Delco unit. Assuming that the MAF sensor is working correctly and sending information to the ECM, could the ECM be malfunctioning and causing the signal information to get distorted or misread? What else could cause outside ambient temps to be off? There's a possibility that the ECM be malfunctioning, but is not that common. If you changed the MAF because a DTC, check the input and output voltages (incoming and outgoing) from the sensor. The problem could be in the circuit itself, the connector or a wire. Will my car run if the mass airflow sensor is disconnected? It may run. If disconnecting the MAF sensor makes a possible engine problem go away, check the cam and cranks sensors and fuel pressure. My mass air flow sensor on an 88 Camaro 2.8 reads 5-volt reference between signal and ground while running and unplugged, on the ECM side, at idle. Shouldn't the mass air flow sensor dictate the voltage going out to the ECM? While plugged in, there is erratic non-detectable voltage, on/off, on/off. My ground tests good, and I have excellent battery voltage on ECM side of the harness. I get the same result with two mass air flow sensors. Check the connectors and wires for loose or damage issues. Do I have to disconnect the battery before the MAF sensor is replaced? On 2009 Mazda CX-7 if MAF sensor has been replaced twice with OEM part and it fails the next morning. What should I look for? Troubleshoot the sensor and see if the sensor itself is failing. There could be a problem in the circuit, bad connector or loose wire. Also, check for a possible vacuum leak, specially between the sensor and throttle body. Isn’t a mass airflow sensor supposed to have a certain resistance between the signal and the ground on the sensor itself? I get about 8.8k ohm on mine. What could cause that much resistance? It depends on your application--see your vehicle repair manual. On some models, swinging the sensor's plate flow should produce a smooth increase in resistance. My Volvo V50 runs well but then suddenly will lose power. Sometimes it helps to shake the MAF connector but not always. Is it definitely a problem with the contacts or it can be something else? Check the sensor element for contamination and then troubleshoot it. Take a good look at the connectors and wires, possibly a loose wire that reconnects when you shake it. I have an A4 Audi sedan 1.8. If I replace the airflow sensor with a new one, do I have to diagnose the car if I replace the new one with the old one again? You might want to test the old sensor and see if it actually failed. Sometimes a clogged air filter or air leak in the ductwork can make a good MAF look bad. You can follow the procedure in the post or the one in your repair manual. It’s not a difficult procedure. How can I fix the idle air control valve? What does it mean if, when back probing to test for voltage signal, the engine dies? Now, when turning the key to start, only power comes on and the starter does not crank. Do you have any clues to where the starter relay is located on a 1991 Park Avenue? I got a 2006 Subaru Liberty that has no air sensor. How do I get past this? How do you read airflow meter wires? I have Hyundai i20 diesel 1.4 variant. Recently, the check engine light appeared in ODO meter. Then I checked it with the OBD2 tool. I got the error code P0103, which indicates MAF sensor circuit high input. What solution will work? Test the sensor itself, its voltage output and for a poor connection. These are the most common causes for this code. Do I have to reset my computer after replacing the mass air flow sensor and throttle body? Not necessarily. You may want to clear the codes, and there could be a reset/relearn procedure for the ECU. Consult your vehicle repair manual. If you don't have one, your local library may have a copy. Can I reuse bolts to mass air flow sensor when replacing it with a new one? Yes you can, if they're good. I added a new MAF to my Nissan Titan 2004. Everything came out great. The only problem I have now is that when I press the gas, the engine sounds like it is releasing air from the top. What could be the issue? There could be a vacuum leak, but this would make the engine run rough. Make sure the air ducts are properly connected, there might be some air being sucked when the throttle opens -- sort of like a bypass. Does the Scion Xb 2008 2.4 liter have a Maf sensor fuse ? Check under the power box lid or the fuse box inside the cabin. There should indicate the circuit fuses. Use a small screwdriver to push/pull on the small retaining tabs. Sometimes they “glue” together because of the operating heat. Be extra careful when pulling on the connector, they become brittle and easily brake. I wanted to clean the air flow sensor in the 2011 Mazda 2 but can't unplug the sensors electrical connector. Any information what is holding it in place? A mode 6 capable OBD-II is sure worth it. You’ll be able to see the results of your computer different tests. You can even check if a particular component is failing even before the engine light comes on. So it comes in very handy when the computer doesn’t “think” a system or component filure is worth a CEL, but it’s giving you driveability problems. 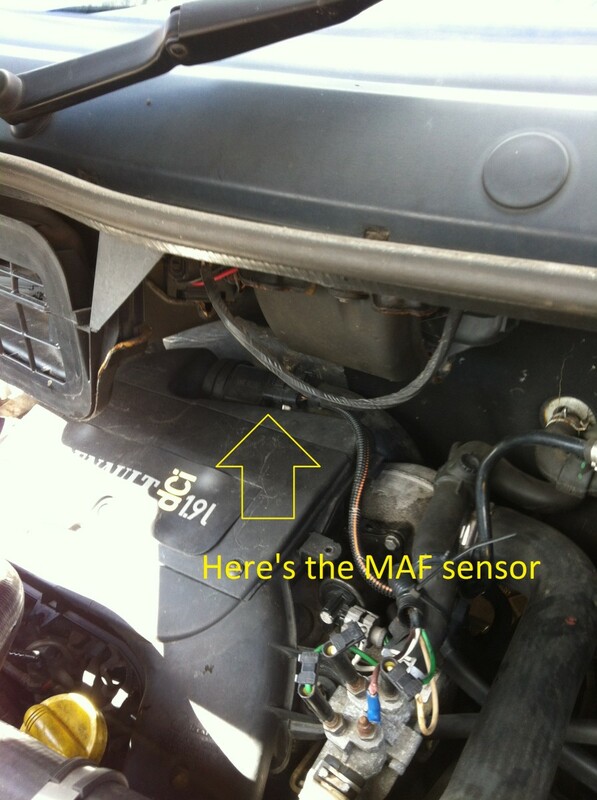 The MAF sensor can be overrun by air leaks in the intake, air cleaner assembly, so check those areas as well. If you haven't’ serviced the PCV system, take a look at it and clean the valve, hoses as necessary. You may want to test the new one to make sure it actually failed. The vehicle repair manual for your model will have the procedure. However, it is common for a clogged air filter, housing and ductwork air leaks make the sensor look as failed. Also, check the throttle plate bore for buildup and clean it, if necessary. Hope this helps. If you haven’t cleared the trouble codes from the computer memory, do so. If the code is coming back, check the air ducts. Make sure they are sealed. If you haven’t replaced the air filter in more than a year replace it. Check for vacuum leaks as well. Clean the throttle body (carbon buildup, if necessary). Check the fuel system for pressure, and make sure you have replaced the filter. My car said the 2000 model VW Transporter T4 2.5 TDI, the MAF sensor in my vehicle was faulty, I bought the MAF sensor new and changed. The fault did not improve and I checked the engine electrical installation. I searched for any leak, short circuit, and repaired them all. At this time, the breakdown is continuing, my car is not accelerating. Could be a short circuit in the fuse board. The MAF sensor return signal at idle is 1.42 and does not change. Please help me. Translation can be Google Translate error. Check the trouble code that the ECM is giving you, there might be another problem with a sensor or something. If you don't have a scanner, an auto parts store can download the codes for you. 2013 buick lacrosse. changed air filter, check engine light came on...? reset it. rechecked what I did, everything good. AC DELCO OEM air filter was put on...still check engine light is on...? Bad sensor , or computer takes time ? Make sure to clear the codes first. If you don't have a scanner, probably the guys at the auto parts will do it for you. See if the code comes back. Some models are picky with non-OEM parts. It's also possible another issue is making the computer think the problem is with the MAF. Check that there are no leaks in the air cleaner assembly. I have a 2003 S10 with a 4.3 L. Service engine soon light is on hook it to a computer it said bad mass air flow sensor. Changed it with used one same symptoms, bought a new one and put it on same thing. What could it possibly be? Also check fuel system pressure. If you haven't replaced the fuel filter in more than two years, it may be clogging. Other possibilities include a bad fuel pressure regulator, faulty fuel injector and a vacuum leak. I doubt you fried anything, the circuit is fused. When the computer goes into limp mode is to protect the engine. There is a fault with one of the sensors. Locate the throttle actuator usually the front or top of the engine. Need to check the connector and wires in the circuit. Whatever the sensor involved is affecting the air-fuel mixture. Some models are kind of picky when it comes to after-market parts. Did you install a OEM? Replaced the MAF and now it will only start then kills the engine. Cleared the code and will idle but touch the gas and dies. Will run if I remove the connector only. Please advise. Thanks. * Sometimes, using non-OEM parts can cause the CEL to come on. * On some models, it takes weeks or months for the computer to relearn the best engine driveability-performance. So you need to be patient. 2 months ago engine diagnosis showed the MAS was bad and it was replaced with a new quality unit. Now the check engine lite came back on indicating the MAS. Any sugestions? have you scan the computer for DTCs (trouble codes). Usually a problem with this sesnor will be caught by the computer. The codes should give a directon where to go looking. My car normally intermittently start. At a point when is not stating and upon removing crankshaft speed sensor, car then starts. 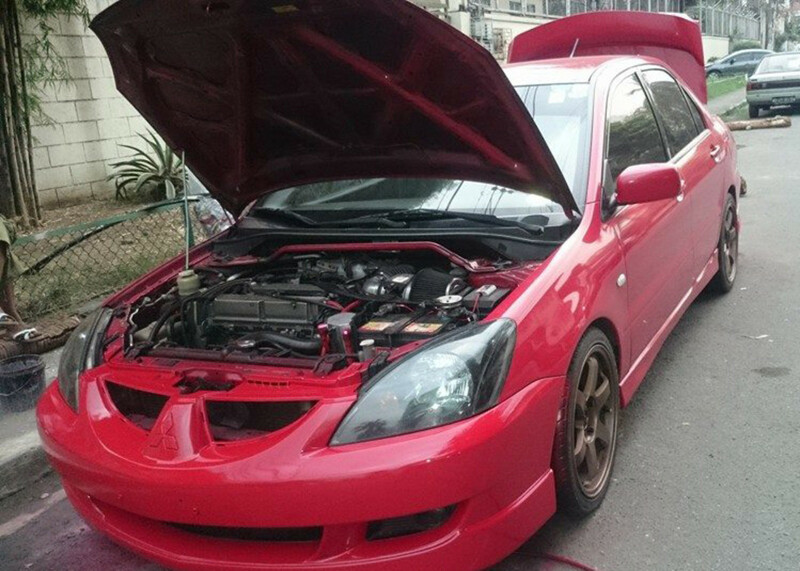 Crankshaft sensor has been changed but still problem keep coming intermittently. 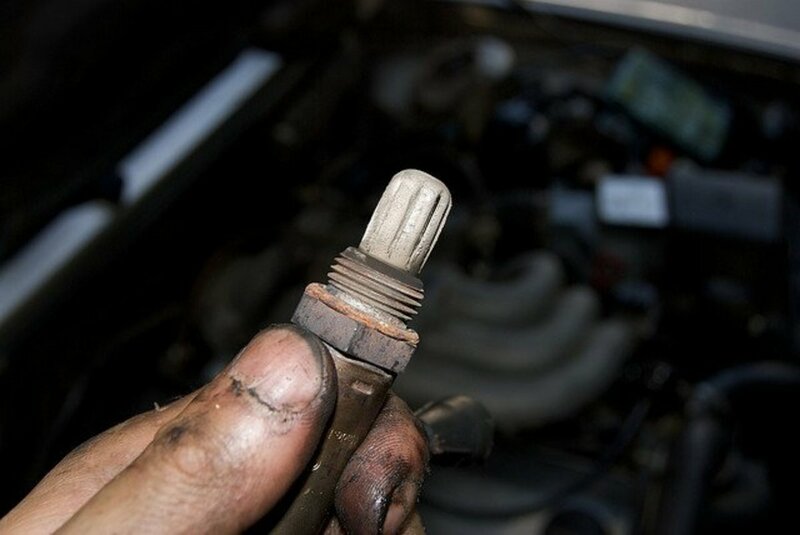 Another sensor that may cause this symptom is the Idle Air sensor on the throttle body. Try unplugging this sensor as well ans see what it does. Hi.. merc e230 w210. The car hesitate and idle surge between 1000 to nearly 0 when accelerator pedal off. When I open up hood, and pull off the MAF sensor. The engine still runs. Is it bad MAF sensor? Thanks. I read somewhere that at idle that the number of grams/sec shown on the OBD tool is equivalent to the size liter engine. Thus, a 3.6L engine would show about 3.6 grams/sec of air flow by the MAF sensor. Hence knowing your engine size one would know if the MAF is measuring intake airflow correctly or not. If less then a cleaning should improve fuel efficiency.